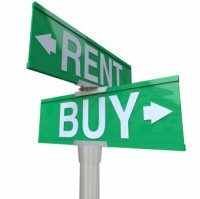 What does “Rent via iTunes” mean? We put “Rent via iTunes” next to links which lead to the iTunes store. The point is to make sure the reader understands the difference between purchasing a CD via Amazon and downloading an album from the iTunes Store. When you buy a CD via Amazon you own the CD. You can do whatever you like with it. You can lend it to your friend, you can sell it to someone else, you can even destroy it. When you download an album from iTunes you are actually purchasing a lease to listen to music on a number of devices. While you can convert the tracks and make a CD out of them, you cannot sell the tracks themselves. You cannot sell the license. It is our position that if you cannot sell something, you do not own it. Thus, we say “Rent via iTunes”. Be the first to comment on "What does “Rent via iTunes” mean?"